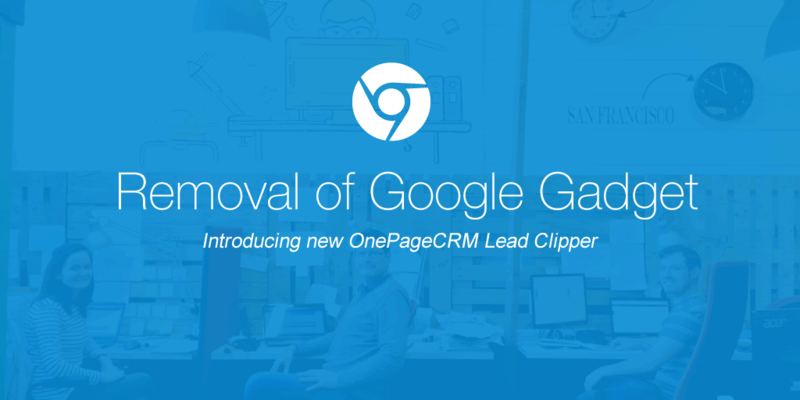 I’m delighted to report that OnePageCRM is becoming more and more popular - just last year our customer base grew by almost 300%! And we’re are not slowing down. To take care of all our customers, our team is getting bigger too - ‘outgrowing’ our Irish office.That’s why, just last week we moved into our awesome new office. 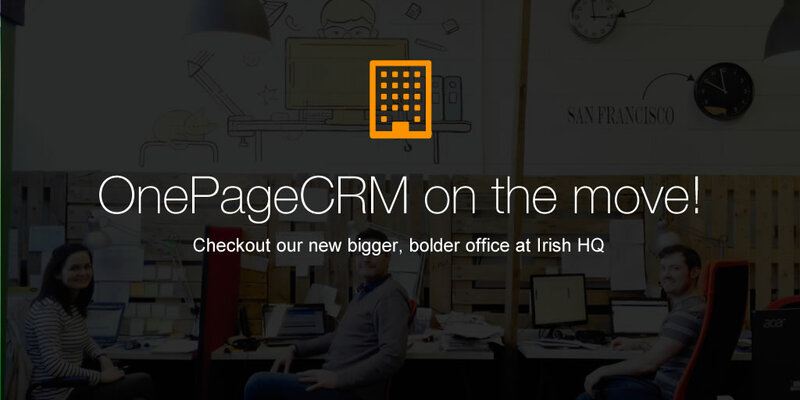 Bigger of course, but in true OnePageCRM-style, it’s not your standard office! As part of OnePageCRM’s Learning Centre, we’ve been giving Advanced Webinar’s on various Topics over the last few months (click here to check the list of available webinars). 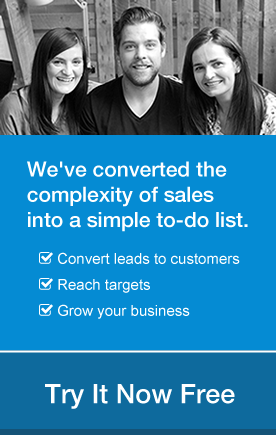 One of our most popular turnouts has always been on the topic of “Segmentation and Reporting” in OnePageCRM and it is because of the most frequently asked question at this webinar which spurred me to write this Blog Post. 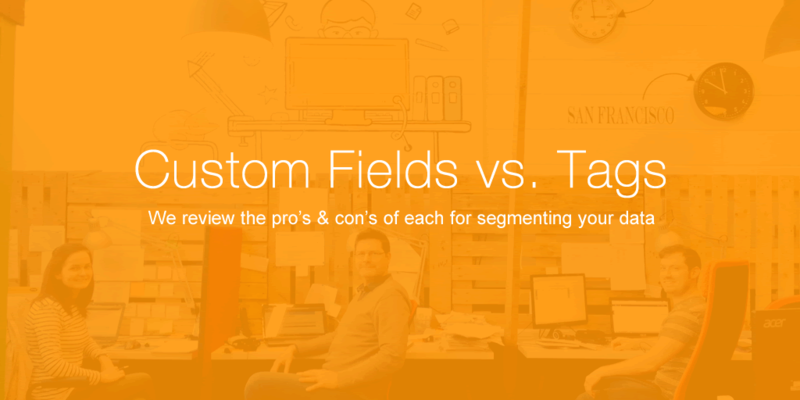 So I guess you’re wondering, what the question is…..well here you go; Why should I use Custom Field’s over Tags or vice versa? 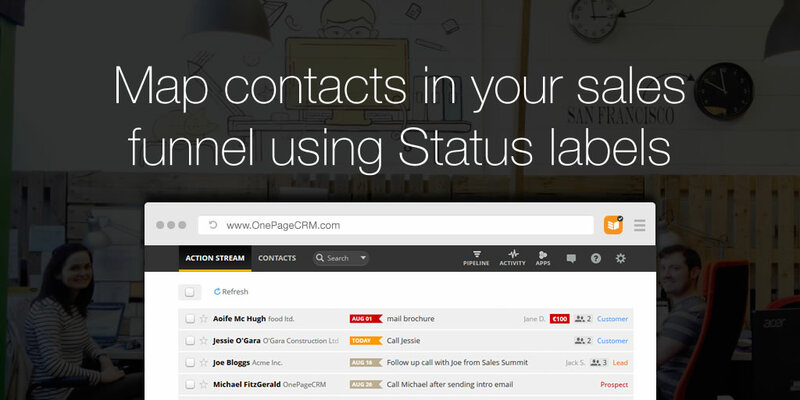 Using Status Labels in OnePageCRM helps you to reflect your sales funnel and is an integral part of encouraging the entire organisation, from managers to sales staff/ call centre personnel, to implement various strategies to improve their workflow / sales pipeline both individually and as a team.